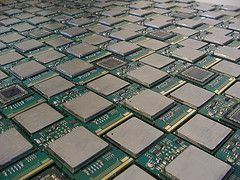 What does one do 434 discarded Itanium CPUs? Matt Tovey was inspired by our Chip Trivet, and used them to make this awesome computer desk. The CPU modules were scrapped as the result of a supercomputer upgrade, and were presumably functional before having their heat sinks taken off– a herculean effort for that many CPUs! 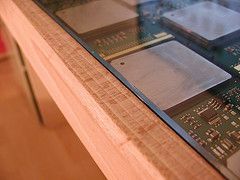 Matt says that the list price for the lot of chips was over US$800,000 in 2006 and that the desk contains about 2.8 TFLOPs of computing power, about the same as 900 3.2GHz P4s. Matt started with a plain desk, tiled in the CPUs, and added wooden edging and a beveled glass top. Nice work! I just love the way that this desk looks. 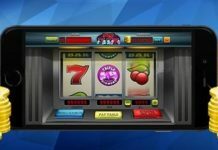 But it gives me an idea too– take it one step further, and what if it worked? 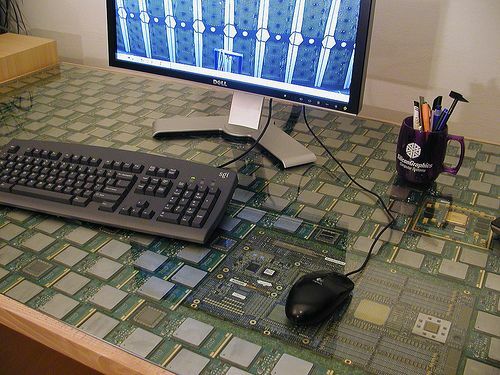 You could use a single, giant PCB for the motherboard which sat underneath the glass surface of the desk. With that much area, you could fit in a lot of processing power. On the cheap (or moderately cheap), one could imagine instead filling the inside of a desk top with low-cost (even last-generation) PC motherboards to make a great looking beowulf cluster or render farm that doesn’t take up any desktop or rack-mount space. Sadly, Matt’s page has moved on to the great /dev/null in the sky, but the mirror still shows some of the build photos.